We're always trying to pretend we live in much sunnier places and our garden reflects it. This is our first season with an olive tree, and I was so psyched to see actual olives growing on it! Here's my FIRST video blog post about it! Cliff - that&#x27;s awesome! Congrats on your first harvest! I have heard olive trees are &quot;messy&quot; but I am not sure what that means exactly. Has yours been hard to deal with? No, it's been pretty easy... I think the reason they're considered messy is that they drop leaves throughout the year, kind of like bamboo leaves... and, when they flower, they have a lot of droppings... but a quick sweep (I have mine on a patio in a huge container) once a week seems to do it!! I'm crossing my fingers that our cold winter won't be too much for it! Good to know - I will keep my fingers crossed for you too! 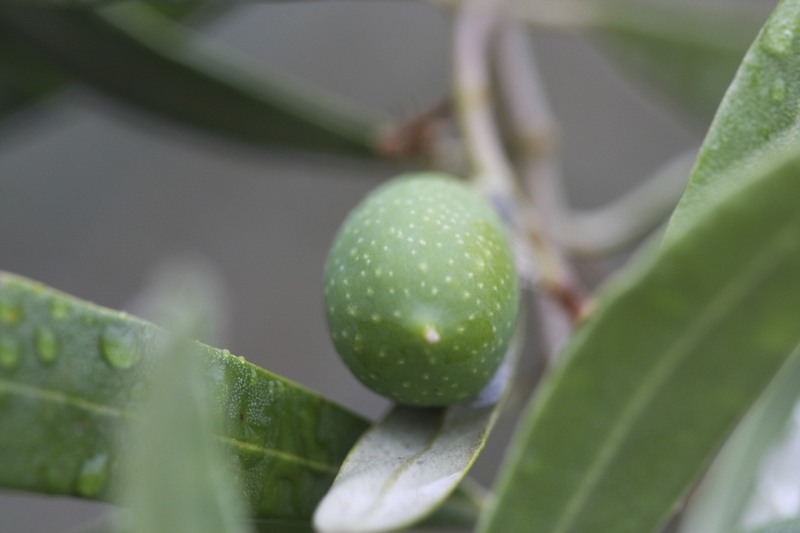 When I visited my cousin in Gaeta, Italy, she had some olives that a neighbor had brined and they were great. Good luck with yours!